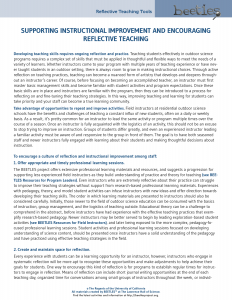 Reflective teaching involves creating a culture of instructional improvement among staff, and providing consistent support for collaboration and reflective conversations around practice. 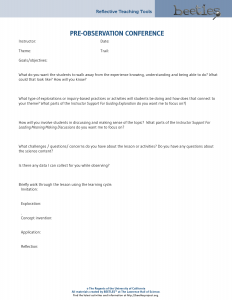 The idea is to actively promote a cycle of goal setting, teaching with those goals in mind, collecting data from/about students, and reflecting on the outcomes. 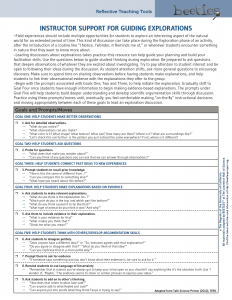 Many program leaders engage their staff in informal debriefs about “how the teaching went”, but don’t necessarily provide a systematic approach or enough time for making adjustments to specific teaching approaches and activities. These tools are intended to help program leaders create an environment that is conducive to growth, and supports instructors to take risks and stretch their abilities. 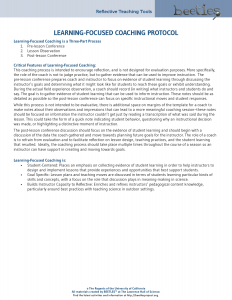 A summary of why reflective teaching is important for supporting instructional improvement and suggestions for how to support staff in becoming more reflective about their practice. 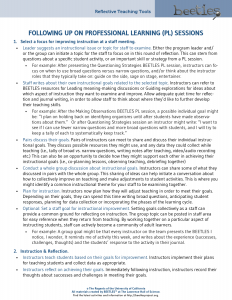 An outline for following up on professional learning sessions by asking staff to set instructional improvement goals and reflect on successes and challenges. 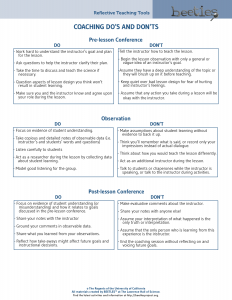 This set of tools supports leaders in coaching staff with a focus on student learning. 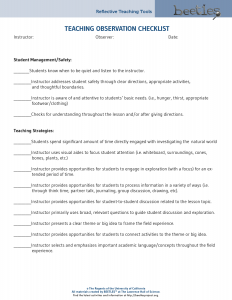 A list of suggested prompts for leading focused exploration activities and engaging students in discussion about their explorations of the natural world. 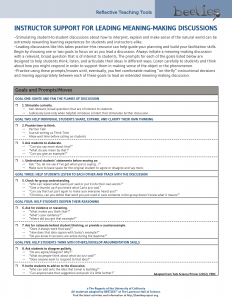 A list of suggested prompts for building students skills in participating in meaning-making discussions about the natural world. 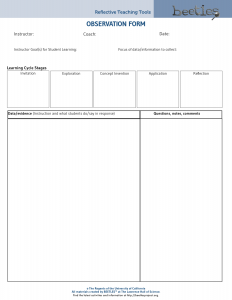 A modifiable sample for creating a quick checklist that can be used with instructors to capture their progress with select teaching practices.